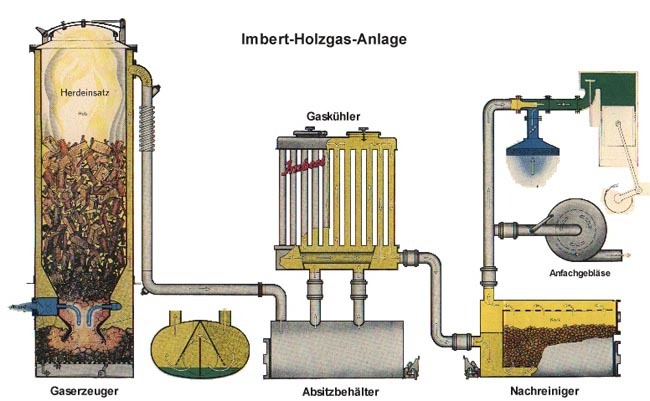 Gasification is the use of heat to transform solid biomass or other carbonaceous solids into a synthetic “natural-gas-like” flammable fuel. 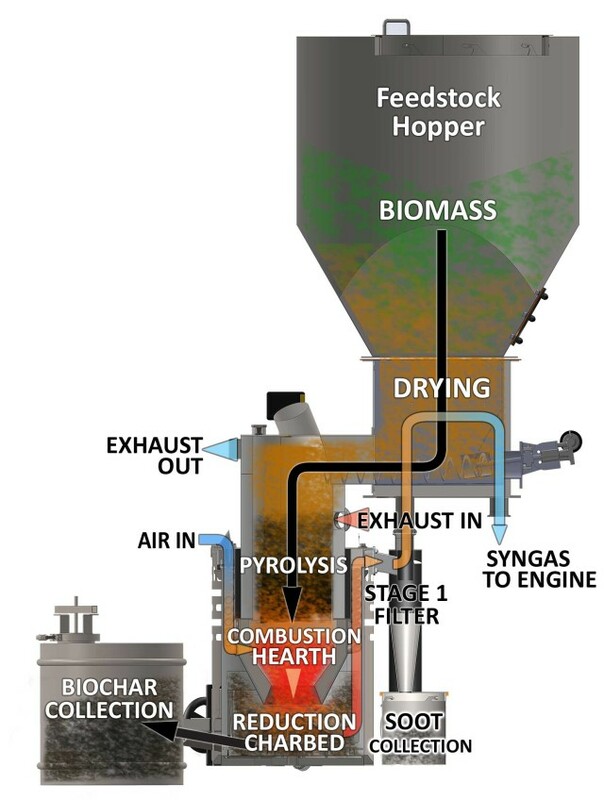 Through gasification, we can convert nearly any dry organic matter into a clean burning fuel that can replace fossil fuel in most use situations. Whether starting with wood chips or walnut shells, construction debris or agricultural waste, gasification will transform common “waste” into a flexible gaseous fuel you can use to run your internal combustion engine, cooking stove, furnace or flamethrower. Did you know that over one million vehicles in Europe ran onboard gasifiers during WWII to make fuel from wood and charcoal, as gasoline and diesel were rationed or otherwise unavailable? 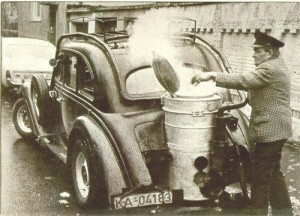 Long before there was biodiesel and ethanol, we actually succeeded in a large-scale, alternative fuels redeployment– and one which curiously used only cellulosic biomass, not the oil and sugar based biofuel sources which famously compete with food. Our goal at APL is not only to show you how to do it, helping to upgrade the engineering and deployment solutions to something befitting the digital age, but to deploy waste biomass gasification at an industrial scale capable of actually having an impact on our energy and climate crises. See for the basic chemistry of how it works. Today, our products integrate all we have learned from these historic efforts with all our experimentation and engineering developments, creating real solutions to a critical global problem.